Ms. Bolinger founded Greenbrier Southwest Corporation in 1991 upon moving to Scottsdale from Dallas with her husband and business partner, Tim Bolinger. 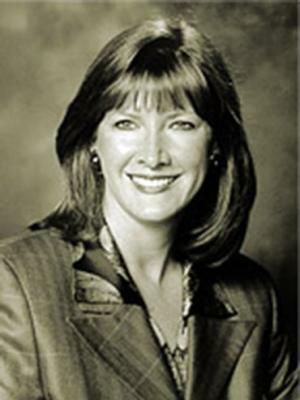 For the first seven years, she also served as senior vice president of Woodbine Southwest Corporation, managing the planning, financing, development and marketing of the 730-acre Kierland master-planned community, including Kierland Commons and the Westin Kierland Resort, in northeast Phoenix. Previously, Ms. Bolinger was vice president of Woodbine Development Corporation in Dallas. She graduated with honors from Southern Methodist University with a Bachelor of Fine Arts degree with marketing emphasis, was selected an Outstanding Young Woman of America, and was named to Who's Who in Executive Women. Before turning her attention to projects beyond metro Phoenix, Ms. Bolinger was an active advocate for downtown Phoenix. She was a member of the executive committee of the Phoenix Community Alliance, chairing its Hotel, Retail and Convention Center Committee for two years. She was an appointee to the State Legislative Ad Hoc Study Committee on Phoenix Civic Plaza Expansion and was a member of the original Civic Plaza Strategic Planning Task Force, serving on both its building and finance subcommittees, and the Civic Plaza Expansion Advisory Committee. Ms. Bolinger served on selection committees for Phoenix Civic Plaza architects as well as on the interview panel for Civic Plaza Director. She was a member of the Board of Directors of The Phoenix Symphony, chairing its Facilities Committee; was a member of The Phoenix Symphony Support Foundation board of directors; was appointed vice chairman of the Cultural & Historic Preservation Subcommittee for the Phoenix 2000 Citizens’ Bond Committee; served as fundraising chair for the Phoenix Women’s Commission International Women’s Day 2000 Celebration; and chaired the 2005 Phoenix Symphony Gala. Ms. Bolinger has been a class guest speaker at Arizona State University many times in its Housing & Urban Development and Master of Real Estate Development programs. Ms. Bolinger retains Texas ties as a director of Cockrell Production Company, Inc., a Texas oil and gas company.